Have you ever wondered how some businesses seem to grow their traffic like crazy? It’s like their websites explode overnight and they make it all look so dang easy. Yet here you are just trying to figure all of this traffic stuff out (possibly in your barely-there spare time), and wondering how and where to begin. If you are reading this article, you are likely starting from zero—no traffic, no customers, not a soul knows you are alive. Yet you need website traffic to make money with your business (and live the life you want). No pressure, right? Look, I know it can be scary, especially when you are just starting out. It seems like everyone else has it all figured out, and you are the outlier. But, the good news is that increasing website traffic isn’t strange or ethereal. It’s not even difficult. Anyone can do it. Most people fail, not because it’s hard, but because they don’t have a clear roadmap and they don’t stay consistent enough to see results. Now, I’m not going to lie to you. Taking your website traffic from zero to 10,000 and beyond is a journey. It’s not an overnight miracle and it definitely will take some work. Don’t believe any hype that will tell you otherwise (there’s a lot out there!). But, here’s the thing…at some point (if you don’t give up) you will get the results you desire. Seriously, you will. These tactics can ultimately lead you to landing your first 10,000 website visitors. Please note that before you start working on building traffic to your site, make sure it has a strong foundation by doing an SEO audit. Matthew Woodward’s ecommerce SEO guide walks you through exactly how to do this step by step. 4-Step Formula to Help You Drive Traffic to Your Website. Know your market: Are you talking to the wrong people? Note that there are dozens of ways to increase website traffic and this is by no means an exhaustive list. What I did was cherry pick a couple of my favorite tactics to help you gain some exposure and traffic sooner rather than later. If you are working full-time and starting a side-hustle, you can do these in your spare time also. It may take a little longer but that’s okay! The most important thing is that you stay consistent. You don’t have to do these in this order either, but definitely start with Step #1 before you move on to the rest. Step #1: Know Your Market: Are You Talking to the Wrong People? She’s impeccably dressed in designer clothes, drinking a high-priced martini and every hair is tightly in place. You want to impress her and break the ice so you pompously walk up to her wearing your best hand-me-downs, and you spew the cheesiest old-school pick up line you know. It’s pretty clear what went awol here. Wrong message. Wrong audience. Seems somewhat far-fetched but you’d be amazed at how many businesses are doing the same thing with their online messaging. How is this relevant to getting website traffic? Target audience research forms the foundation upon which you should build your traffic strategy. If you don’t know your audience, you can’t communicate the right message to them. If you can’t communicate the right message, your traffic-getting tactics will fall flat because, well, nothing you say will land—similar to the outdated lines spewed by our favorite pickup artist. Knowing your audience requires an understanding of their physical and psychological demographics. So your target lives in Miami (lucky them) and they drive a ferrari and are married, but what do they like to do in their spare time (besides play with all of their money)? What are their deep longings? The more you know, the more you can connect to them. These emotional connections drive people to your website and brand. To start this process, create 2-3 of these target personas. Then, as you create content and even new products, keep your personas in mind so you are targeting them correctly. How do you uncover this information on your audience? One way is to send incentivized customer surveys (ask them outright). Or poll your customer service and sales teams to find out your customers’ top FAQs. If this process seems difficult, don’t worry. Much like most filter-heavy Instagram #iwokeuplikethis images, you can actually fake it. Get as much information you can researching the web, then make the rest of it up. The idea is to be clear on who these personas are so you can stay focused and speak to them with your content. This “made up” person is out there even if you don’t know them yourself. Over time, as you get more website traffic and customers, tweak your personas and adjust accordingly based on the real-time data you collect. Disclaimer: I don’t want you to get too hung up on this step. Do the research (it’s important!) but don’t get stuck here. You will always be learning more about your audience as you increase your website traffic. I know everyone and their mother will tell you to get on multiple social media sites to increase website traffic. And they aren’t wrong. Look, it’s true that social media is a great way to get more website traffic. But, this doesn’t mean that you need to open an account on every social media site tomorrow and just start posting, tweeting, hashtagging and Instagramming until you get some traffic. You NEED to be strategic. Most people do not use social media right because they simply throw some posts up day after day without any repeatable, scalable strategy. Start with ONE social media site for now. Once you nail down your strategy for the first one and you gain some ground, move to the next (if you need to). If you are going to start with one, make it Instagram. If you have never used Instagram before, here are some specifics on how to use the platform. You may be wondering if Instagram is the right platform for your business. 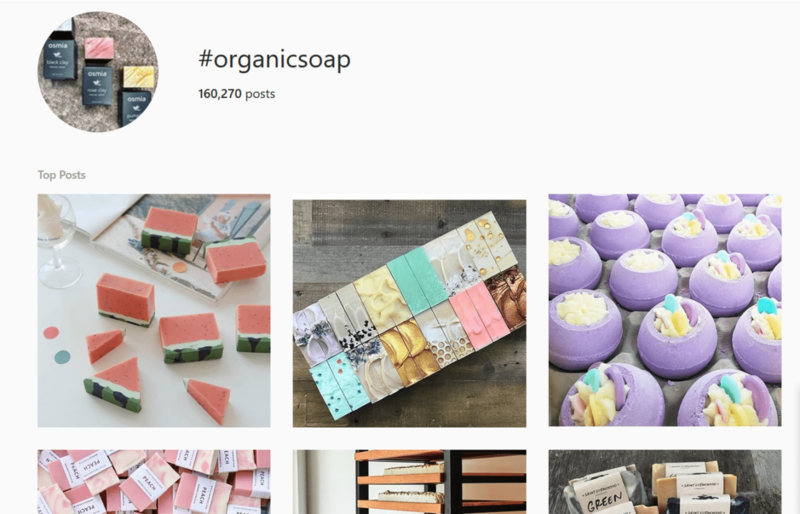 While Instagram is a great choice for ecommerce brands, any business that can post compelling imagery can increase website traffic using this platform. From service-based businesses, t-shirt businesses, to local shops to any product-focused business, Instagram is where it’s at right now. Let’s dive into the four-week hustle to 10,000 followers. Disclaimer: I can’t guarantee you will get 10,000 followers in four weeks but I’ve seen it done. Actually, I’ve seen it done in two weeks! Even 1,000-5,000 targeted Instagram followers would boost your website traffic and help you snag some brand partnerships (more on that later). After your initial four-week push you can keep going with these tactics at a slower rate to maintain traffic growth. Or keep up the same pace, it’s up to you! You don’t have to do it in four weeks either (don’t stress), but the key is to get the steps done and keep it up. I said this was going to be a hustle right? For the initial four weeks (and beyond if you want), post content 6-8 times a day. Spread out the posts throughout the day so it doesn’t look spammy (don’t post one directly after the other). If you want to upload all of your posts at once and schedule them to fire at specific times, use tools like Plann or Later. This initial content boost will attract consistent followers but only if your imagery is good enough to spark interest. It has to be eye-catching and engaging! People-focused images increase engagement and draw more attention. Humans attract humans. It’s as simple as that. In addition to product images, post images of people using your products. These images allow viewers to envision what their life would look or feel like if they purchased your product. Not every post needs to be product-focused. In fact, it shouldn’t. Mix up your images with other types. You may also run a service-based business so posting products won’t make sense anyways. Travel photos appeal to this brand’s audience and they get decent engagement as a result. Bonus: Notice also how the brand mentioned the photographer in its comment. Here’s something really cool: You can curate images from other people (this will save you time!) as long as you give them proper credit. Get some amazing imagery/videos on your profile without doing a lot of work. Extra bonus: When you credit the original authors, they also get notified. This could turn into some content partnerships (more on this later) or at a minimum, some more engagement and followers. These images can also draw interest as long as they are related to your brand. It’s difficult for a software company like Sumo to create product and lifestyle images since it doesn’t sell a physical product. Instead, the brand publishes branded quote images that speak directly to its target audience of business owners and entrepreneurs who are in the trenches growing their businesses. Here’s another list of nine web and mobile apps for creating quote images. How about some behind-the-scenes content? Don’t be afraid to show your customers your brand personality and culture. Leading Australian digital marketing agency King Kong posts multiple behind-the-scenes images weekly. Note: King Kong could have also just shot a pic of this employee. But instead it included subtle brand inclusions with the Instagram caption photo background. If you are just starting out and you don’t have any employees, behind-the-scenes content could include you working on your website, ordering samples, in an important meeting, etc. How many different image types should you post daily? There isn’t a hard and fast rule here. Just vary up your post types and see how your audience responds. If you notice your audience likes quote images the best, post more of those. Easy, peasy. Hashtags help people find your content. Without them, you will not get many followers because no one will know you exist. Think of hashtags for Instagram like keywords are for Google. Add 20-25 hashtags to each post. Choose 5-8 high-performing hashtags that have millions of posts, 5-8 that have fewer than 100,000 posts and 5-8 that have fewer than 10,000 posts. High-performing hashtags have more people searching for and using them, but this comes with higher competition. So your post will likely get lost in the users’ search pages if you use only high-performing hashtags. This is why you want to vary up the hashtags between high, mid and low-performing. Search your competitors and top industry influencers and use some of their hashtags. Use Instagram’s Explore feature to find trending hashtags. Notice how Instagram lists the number of posts next to the hashtag. This is how you know how competitive the hashtag is. I recommend gathering a group of hashtags that pertain to your brand and its industry. Gather enough that you can rotate them periodically, at least three sets. Then, for each individual post, add some unique tags that relate to the image. In this example below, I pointed to some hashtags that may relate to the image only. You will likely not find them on every image this brand posts. The key to greater engagement on your Instagram posts is to make people want to respond. You can do this by asking questions, urging people to “double tap” to like the post, and asking people to tag a friend. Share for share (or Shoutout for shoutout / S4S) simply means that you share or shout out a person’s profile, and in exchange this profile does the same for you. You find a related account to yours that has a similar number of followers and good engagement. The account also targets the same audience you do. You message the accounts and ask them if they want to do a S4S. If you move forward, you review this partner’s account and identify which image would appeal to your audience. The partner does the same with your feed. You share the partner’s post on your feed mentioning the partner and telling your followers to follow this account. Your partner does the same on his feed and urges his followers to follow you. First, I advise you wait until you have at least one hundred to a few hundred followers before you contact people for shoutouts. Second, don’t go asking a profile with 500,000 followers if they can shout out your one-month-old Instagram profile. Ain’t nobody going to take you seriously. The value (and number of followers) must be mutual. Offer free product – this works especially well with influencers. We will talk more about influencer marketing later in the post. Money – You may need to pay for a shoutout or share early on. How much? Anywhere from $10-$50 each for a profile with 100,000+ followers. Become a regular commenter for a high-profile account. If they have two times the number of followers, offer two shoutouts for their one shoutout. How do you know which accounts to work with? The account should be related to yours but not a direct competitor. Let’s say you sell makeup products. You probably won’t want to reach out to another makeup brand (unless you know them personally), but you may want to talk to beauty stores, female-focused fashion profiles, and skin care brands. You can get even more niche-specific. For example, if your makeup is vegan, partner with some vegan skincare brands or environmentally-focused women’s clothing or green home products retailers. Besides looking for partners who have similar follower counts and audiences, make sure they also have high engagement rates, at least 1-3%. This means that the last 8-10 posts gets at least 1-3% of likes/comments compared to the total number of followers they have. If you want to check the legitimacy of an account, use an app like SocialBlade to review the analytics/engagement data of any Instagram profile. If you see low engagement, the profile could be a bot or simply not draw engagement. Partnering with them will do nothing for your account regardless of how many followers they have. Instagram will then show you more related profiles to search. When you find some people to partner with, contact them on Instagram direct message or email them if you can locate their email address. Instagrammers generally use Kik to communicate about S4S opportunities. Shoutout groups are typical on these platforms as well. When you get into a shoutout group, you and your group can periodically share each other’s profiles over and over to increase exposure. Can’t find a shoutout group? Create your own! It might feel intimidating to just email a person out of the blue and talk about S4S. But, it’s a common practice with Instagram. If accounts have a few thousand followers or more, they may already know what S4S is. You simply have to ask if they are interested in doing one with you. If they have fewer than 1,000 followers, you may need to explain it to them. As long as you are courteous and offer equal value, people will be happy you reached out to them. It’s a WIN-WIN for both parties. Getting 10,000 Instagram followers is great, but we need to turn them into website traffic. Isn’t that what we are talking about here? To get people to your site, you have to direct them to it! Include calls to action (CTAs) in your posts, which are messages that tell people what action you want them to take. Don’t overdo it though! One out of every 5-10 posts, you can include a CTA to a lead offer or sale. This isn’t a hard and fast rule though. I mean, if your images look like this from the Brightsidebakeshop, people are going to want to get their hands on these guys as quickly as possible. Note that if people love your images, they will check out your bio and click to view your website. The key is making sure you are attracting your target audience (Re-read step #1) and your images will follow suit. As long as your images are highly compelling and add value to your viewer’s visual experience, post away. Too many product-focused/salesy images only become an issue when you are simply posting any ol’ image just to get your website links in there. This is spammy and won’t get you anywhere with traffic. Implement these tactics and watch your Instagram following (and traffic) start to rise. Keep going with it after four weeks and you will consistently increase website traffic. Vary up the content with product, lifestyle, behind-the-scenes and quote images or any content type that will attract your target audience. You can also curate some of the content as long as you credit properly. Get involved in 1-2 S4S campaigns a day, or at a minimum, 3-5 or more a week. A third of your content can be shoutouts. Leverage user-generated content (UGC) – Reward customers for posting an image with your product and hashtag. Consider Instagram advertising when you start bringing in some money. I’m not going to waste your time here telling you to start blogging. Any blogging article on the internet will tell you that (the good and bad ones). What I do want to do is tell you how to make an IMPACT with your blog so you can learn how to get consistent high quality traffic to your website. If you need more information on the technical aspects of how to start a business blog, you can find a resource here. So I have this client who gets multiple hundreds of thousands of website visitors a month and he’s on track to seven figures in traffic monthly. But, he started at complete zero (zilch, nada) not more than a few years ago. What was his biggest source of traffic? His blog. The blog became his main traffic hub. But, here’s the thing…you can only increase website traffic if your content is absolutely super-dee-duper incredible, jam-packed with tons of value and delicious enough to devour. How good does it need to be? If your content can get people to step away from what they’re doing, you nailed it. One key to getting consistent high quality traffic with your blog is to get SUPER clear on who your audience is and what their problems are. Your content will provide solutions to these problems, so you REALLY have to know what they are. Refer back to Step #1 in this article for a refresher on how to research your target audience. Do you post a blog and then check your stats every hour to see if it brought any traffic? One, because you will be wasting time. Two, because traffic builds OVER TIME. It’s not an overnight thing. The more you post the better, right? Not necessarily. Quality is better than quantity. I would rather you post one high quality piece once a month than 10 low quality pieces. Focus on quality and be consistent. That’s all there is to it. Start posting 1-2 high quality, targeted pieces a month that speak directly to your target audience and offer them solutions to their problems/concerns (Refer back to Step #1) And as traffic comes in and your revenue increases, post more as your budget allows. I have no problem with 500-word articles. Well, okay I kind of do but not because of the word count per se. It’s because most of the 500-word articles out there are boring and lack depth. Does this mean every one of your articles needs to be over 3,640 words? Not at all. What if I simply laid out the traffic tactics in this blog yet never taught you HOW to implement them? That would be pretty silly, right? It’s crazy but a lot of content on the web does exactly that. That’s why you see a lot of longer pieces ranking in Google. Because it takes more words to make a piece actionable. Actionable simply means that your content gives readers action steps to take away with them (preferably immediately). It also shows examples so the reader can get a visual of what you are saying. If you want to see what an actionable piece looks like, review this article again. For the section, Step #2 Get Social: The Instagram 4-Week Hustle, I could have simply mentioned what the strategies were (in about 200 words). But instead I made it actionable and added a lot of how to information, taking you through the steps and showing you examples. Where I thought you would have more questions, I linked to a resource. Your article can be amazing, but without a juicy headline, no one will read it. And no one will click on it to visit your website. The headline will give your user’s a first impression of your content. It must grab attention and make them want to read more. This second one is benefit-driven and sparks curiosity. It compels the reader to digest the content and also stops them in their tracks if they are an article skimmer. Take a look at some of my favorite resources on how to craft attention-grabbing headlines. Add plenty of images and screenshots, bolded/italicized words and bulleted lists to break up large blocks of text and make the content readable. Make sure there is a lot of whitespace! I took a screenshot of a small section of this article. Here’s what it looked like before I made it more readable. Ahhhhh…see how much nicer that looks? You can thank me later. I can’t take the credit for coming up with this one. I found it in this article. Share triggers are ideas that make people more apt to share your content. When you are just starting out, you will need these tactics to help your content get noticed. One share trigger you can try is “social currency.” Social currency is when we share content that boosts our reputation and bolsters our image. To capitalize on this, create content that solves a known industry problem so people will want to share it to make themselves look good. Your content should provide data that corroborates a strong opinion or problem. Here’s an example: We could make an infographic that charts out the average investment for each online business. It would get shared by bloggers/businesses who want to dispense this information to their audience and impress them, but don’t want to dig into the research to get the data themselves. Being a scared, insecure writer, I crawled in a fetal position, crept slowly towards my husband’s lap and sobbed like a child. Side note: I wish he would call me back now. At this point you may think I am borderline crazy and I need a therapist (I firmly believe we all do). OR you feel more connected to my content because you are keenly aware of your own shortcomings and you feel somewhat validated. Hopefully it’s the latter. You don’t have to go around telling sob stories (unless you want to). Just get a little vulnerable with your content so you can humanize your brand. Show your readers behind the scenes of your company. What’s behind the “corporate” facade? You don’t need to share all of your secrets like this, but the point is that with the skepticism that pervades today’s online users, showing transparency is how you will attract them to your brand. Have you tried any new tactics that worked for your business? What about ones that failed? Write about it! Are you working on some new product improvements and you want your audience’s feedback? Write about it! Are you vacationing in Bali (wishful thinking) and you landed on some inspiration for a new blog post? Write about it! In 2017, our very own Will Mitchell released an income report blog post for Startupbros. In it, Will shared some of his darkest times and how that directly affected the company. If you take one thing away from this article, let it be this: We are all human and we all struggle. Let people see a little of your humanity and you will attract loyal website traffic (and customers) for a very long time. You can post the best content in the world but if you don’t start promoting it, you won’t get that consistent website traffic you are gunning for. If you mentioned any people or sites in your post, email them to let them know (without outright asking for a link; this is spammy). It could lead to a share or link back. You put your heart and soul into writing an epic piece so let’s make it work harder for you so you can get even more traffic (without much work). Social content – Share tidbits of your piece on social media sites. Turn some of the notable sentences into quote images with Canva or PicMonkey and re-share with a link back to your blog post. Infographics – Take your existing content and make an infographic out of it. Use tools like Venngage and Canva. Create an audio and/or PDF version of your article. Develop a content upgrade and use it as a list-building tool. Here’s more information on how to do that. Break down the content into an email series. You can use this email series as a lead magnet to get subscribers onto your email list. Partner with at least 5-10 influencers to get more exposure. Here’s how to do it. Let’s start with guest blogging. I love guest blogging because you can leverage the popularity of other blogs to increase website traffic and exposure for your brand. It’s a great way to get some initial traffic and awareness especially when you are just starting out. Guest post on blogs that get significant traffic and engagement and that are related to your niche. Let’s say you sell wedding dresses. You may want to get featured in an outlet that draws in readers who are engaged to be married and in the market for a wedding dress. I also like to use Twitter. Just add the keyword + guest post (wedding guest post) in the search string. This will pull up tweets about guest posts from related blogs. Next, whittle down your list to only the blogs that have some popularity in your niche. TIP: In the beginning, it may be a good idea to choose a few less popular blogs. Then, use these posts as leverage for the more popular outlets to show them what you are capable of writing. More on this later. The content is related to your business and its readers will get a lot of value from your post. The blogs posts are shared at least dozens to hundreds of times (ideally thousands). Once you gathered a list of 10-20 blogs to write for, the next step is to engage with the blogs on their sites and social media profiles. Maybe re-tweet some of their posts, comment on their blogs. The point here is to just get on the blog owner’s radar. As the managing editor of a high-profile blog, I get dozens of contributions requests/pitches on a weekly basis. DO Follow directions (like, all of them). If the blog posts instructions, follow them exactly. DON’T kiss a$$. I don’t think anyone eats, sleeps and breathes my blog, so don’t tell me you do. What will score you brownie points is if you pitch a topic you know my audience will LOVE. And you nailed the pitch because you researched the blog and read some of the most popular content. Don’t make the editor/blog owner think that the only reason you are blogging is to get some exposure. Okay, well, technically you are, but show the editor that you want to provide a killer piece that provides amazing value to their audience. And this SHOULD be one of your goals. The more you give, the more you will get in return. It’s a universal law and it works here as well. As a blog editor, I request previous samples from contributors to ensure they write close enough to our blog style. If you don’t have any, I recommend you contribute to some medium and low-popularity sites first as their requirements will be less strict. Then you can use those pieces as examples for the more popular blogs. Not every blog will require an in-depth 3,000-word piece. But, the popular ones may. Each outlet will have specific guidelines for you to follow. Follow them to the tee and your post will get accepted. When writing your post, follow my content rules from the last section. This is especially important for the popular sites that request long-form content. Once the blog publishes your post, reply to the comments to show the blog owner that you are engaged with their community. If all goes well, you can potentially become a regular contributor or contribute occasionally. If you want to deepen your knowledge on this subject, here is an another in-depth resource on guest blogging. With Influencer marketing, you partner with influential people who post content about your products or brand to their loyal followers. Influencers exert influence in many places: Instagram, YouTube, and blogs are the top three. For brevity’s sake, in this post I will talk about finding and working with influencers on Instagram. Similar to guest blogging, we are looking for popular influencers who have a large following and get a lot of engagement on their content. We also want to find people who will naturally be attracted to your product and company. How to search for branded and relevant hashtags. Let’s pretend that you sell organic soap products. Already have customers? If you were a brand like Dove, you would search Instagram for your products to find people who may have posted about them. Current customers will be the easiest to work with since they already love your products. Don’t have any customers yet? No problem! Search relevant hashtags to find people who may love to try your products. I did a simple hashtag search with #organicsoap. Scroll through the results for nice imagery that may feature a person using a soap product. We are looking for actual people, not competitors or brands that also make organic soap. Take it deeper. If you can’t find any images, try related hashtags (#naturalsoap, #naturalskincare, #organicskincare). Think about the people who would use your products (Step #1 on knowing your audience comes in handy here again too!). What other products will they use? They may also like organic skin care, organic foods, or be into fitness and exercise. Have a competitor? Search the competitor’s brand as a hashtag. If influencers love your competitor’s product, they may also love yours. Looking at her profile, she has a strong interest in holistic products and her profile is beautiful. As you can see from the screenshot, this influencer has 34,100+ followers. She would be what we call a micro-influencer. Micro-influencers have fewer than 100,000 followers (or even 10,000) yet their communities are highly engaged and their followers trust them because they don’t incessantly post ads. If you want an influencer with over a million followers you will pay thousands just to get a mention, And trust me, you don’t need it. Micro-influencers can be a better choice because they aren’t as competitive to land (some don’t even realize they are influencers) and they won’t cost you a lot of money to work with (many work for free product). Their communities are also super responsive. In fact, the fewer the followers the more engaged the community. Crazy, right? So what engagement levels are you looking for in an influencer? This image has 1,327 likes and 21 comments. Look for at least 1-3% engagement (ideally more) before contacting an influencer. I recommend taking at least 10-15 of the influencer’s images and calculating the average engagement on those. So if you take 15 posts, add up all the engagements and then divide by 15. Then, divide this number by the total number of followers. These manual calculations can be tedious, however. You can find some automated engagement tools with Iconsoquare and SproutSocial. You can also use SocialBlade like we did in the section on Instagram S4S (see Step #2 earlier in this article). Once you gather a list of influencers, start contacting them. Not all will be open to working with you but the key is to take the process slow. The connection may take more than a few emails. [YOUR NAME] here from [YOUR COMPANY]. Wanted to send you a quick note to let you know that we’re big fans of the content you post. We noticed it because it’s [INSERT ATTRIBUTE/S] and we are very aligned with this type of content and the message you are putting out. We’d love to work with you. If you have any interest, let me know and we can set up a quick chat! Customize each message to the influencer so your sincerity shines through. If they decline, thank them and keep it cordial. You never know when they may be interested in the future. 4. What do influencers want to be paid? The statistics on this are all over the place unfortunately. First, I am going to show you the result of a study that outlines the average payment expected by Instagram influencers who have varying number of followers. This may seem kind of high—and it is (in my experience). This may be what you would expect to pay for a negotiated shoutout (see Step #2 in this article). Most of my clients offer influencers free product and that is enough to seal the deal. Consider starting an affiliate program where influencers get a percentage every time they sell product. This is a win-win for both parties. Or, put influencers on a VIP list of people who get exclusive access to new products for free before they are released to the public. 5. What should influencer’s post? If you choose an influencer who has a good eye for posting beautiful imagery, you don’t need to get too involved in the content posting process. Be clear on your expectations, but giving the influencer some creative license will show you trust them and this will go a long way. Just approve the image before it goes live. This is more typical of the type of post you may get with free products. When you pay influencers, you will have more say in where to post your mention and have input on the imagery. Okay so here’s the annoying legal stuff (blech). If you pay influencers, they need to mention that the content is sponsored. Here is an FTC press release concerning the matter. Since I’m not a legal expert, I would recommend you speak to one, but influencers typically add either the #ad or #sponsored hashtag to their posts to comply. Remember what I said…increasing website traffic is all about consistency. In the beginning it may feel like you are facing an uphill battle, but if you keep going and stay consistent, the scales will start to tip in your favor and all of your work will pay off. Let’s recap what we talked about. #1: Know your market: Are you talking to the wrong people? Do this for four weeks and then assess whether you want to continue at that pace or slow down. You can do as much as your time allows. Start with 1-2 killer blog pieces a month and stay consistent! Promote each one and increase posts as your budget allows. Focus on quality over quantity. Connect with 5-10 influencers to start. Ramp up as needed. I’m excited for you to get going and try this out! If you have any questions along the way, please don’t hesitate to pop in here and ask. I want you to succeed. I believe in you. Let’s do this! Jenna Scaglione is the founder of Lady Content, a professional blogging business that helps businesses get measurable results from their content marketing initiatives. Connect with Jenna on LinkedIn and Twitter!